Paper towels. Love them and hate them. 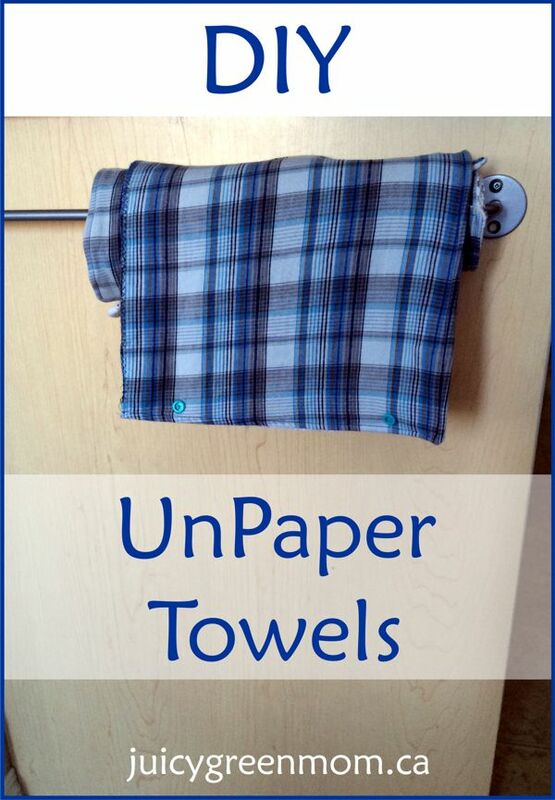 They are so awesome in those moments when you need to grab something quickly to wipe, especially if it’s super greasy or gross and you don’t want to have to deal with trying to wash it out of a cloth. But they ARE wasteful. Even if I do buy the recycled ones. 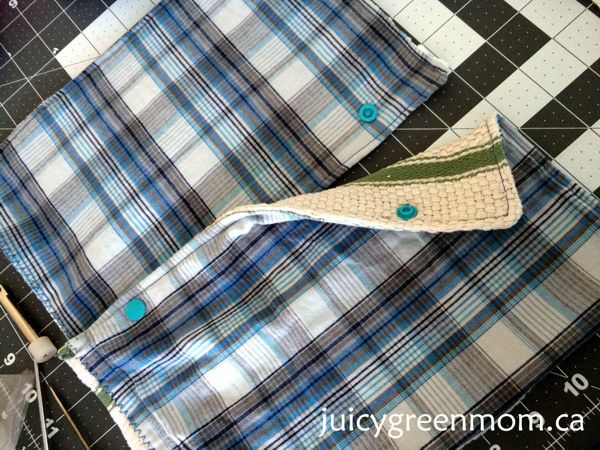 I have been wanting to make some DIY UnPaper Towels for quite awhile – it’s always about finding the time to do these things! My mom came to visit so she helped me sew and we got 3 rolls done over 1 evening and 1 afternoon. 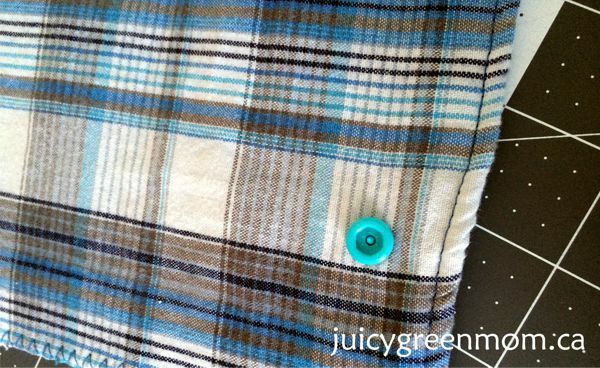 I had some old pajama pants of my husband’s and mine (yes, the Hello Kitty ones are mine), and some old towels as well, so I thought the best way to make DIY UnPaper Towels was to upcycle old stuff! 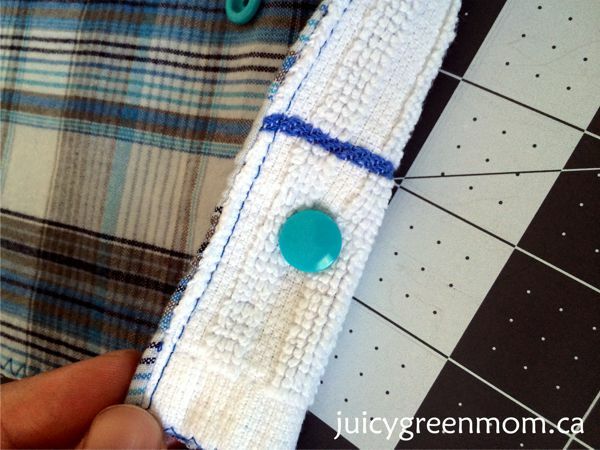 I have seen some pretty nice fancy ones made from new fabrics but I figure – it doesn’t need to be super glamorous! 1. 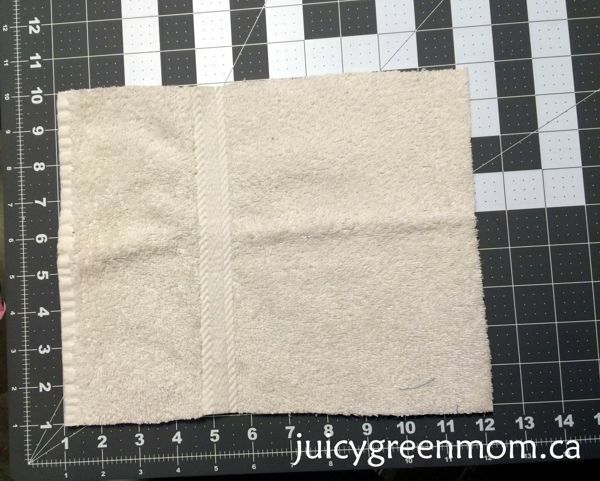 Cut the fabric about 1/2″ larger than you want your UnPaper Towels to be. I measured the length of a paper towel roll so that I could put them on a paper towel holder if I wanted to. It’s about 11″ long. 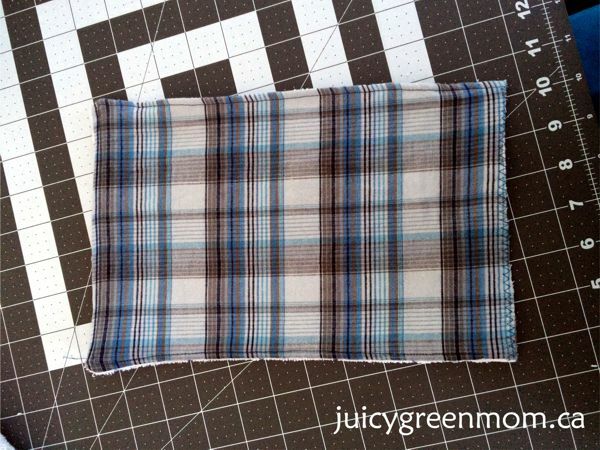 I decided to make my towels around 8″ wide (give or take 1-2 inches) to try to maximize the fabric I had and waste less of it. 2. Cut the towel pieces to the same size. 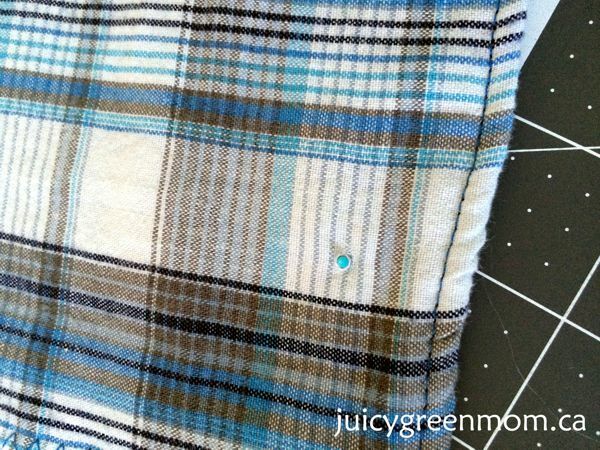 If you cut varying sizes of fabric, just make sure that you cut the right amount of towel in the same size to match your fabric pieces. 3. 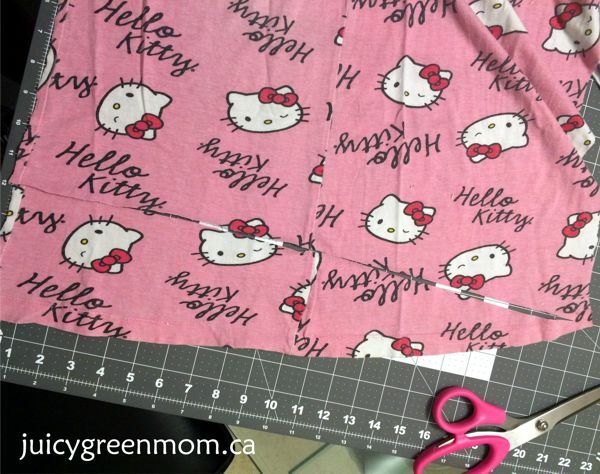 Put the fabric and towel pieces together with the right sides (sides you want to be facing out at the end) together. 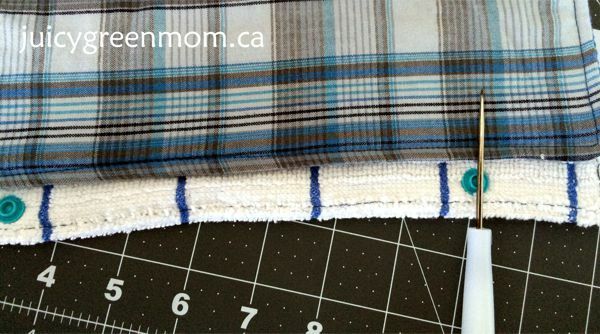 Sew around 3 edges, then crop at the corners (to take some of the bulk of the towel out). Turn it inside out! 4. Now you can either turn under the edges of the last unsewn edge and top-stich, or if you don’t mind how it looks, just zigzag stitch along the unsewn edge. Top-stitch the other 3 edges. 5. Your little towel is done! Now for the snaps! I’m really impressed with how easy it is to use KAM Snaps! All you do is poke a hole where you want the snap to go (the pliers come with a poky thing – not sure what the technical term is. :P). 6. Then put a snap pin part through (flat on outside, pointy thing on inside). 7. Place the other half of the snap overtop. This will be either the flatter half, or the more raised half. 8. Hold the pieces together and center the pliers over it. 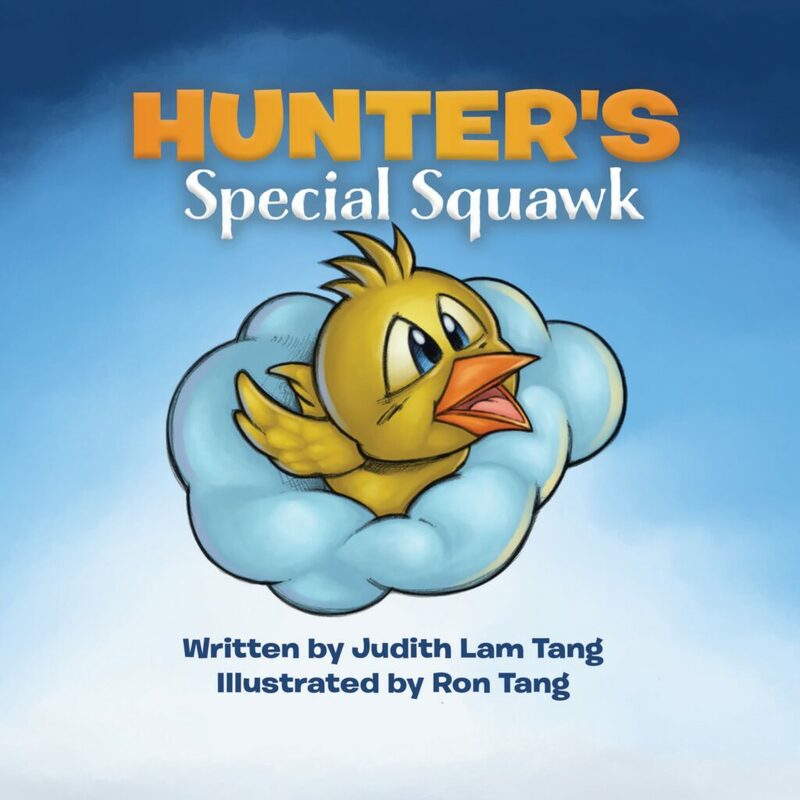 Squeeze – and voila! Snap is secure! 9. I put 2 snaps on each side of the towel. I used my pointy thing to line up where I would put the snap on the next towel. 10. Just make sure you use 2 of the same snaps on one side, and then 2 of the other on the other side so that your towels will snap together easily into a roll. 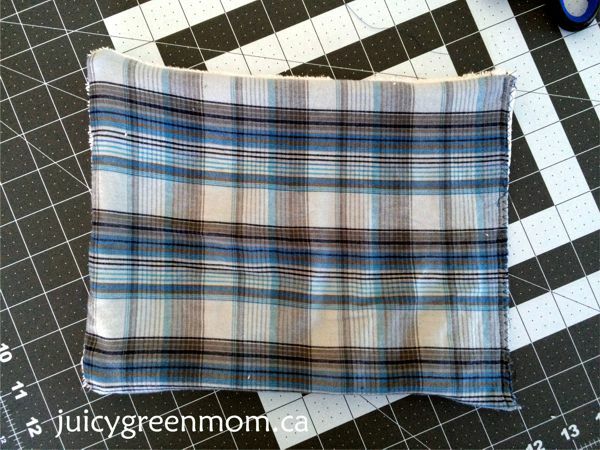 Would you consider making some DIY UnPaper Towels? 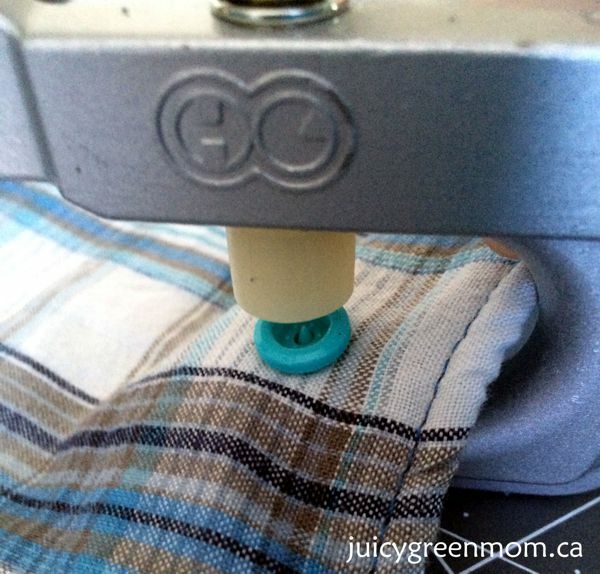 Rave: Mabel’s Labels save my kid’s stuff!